RPMS Tools are assessment instruments used to ensure quality teacher performance at different career stages. 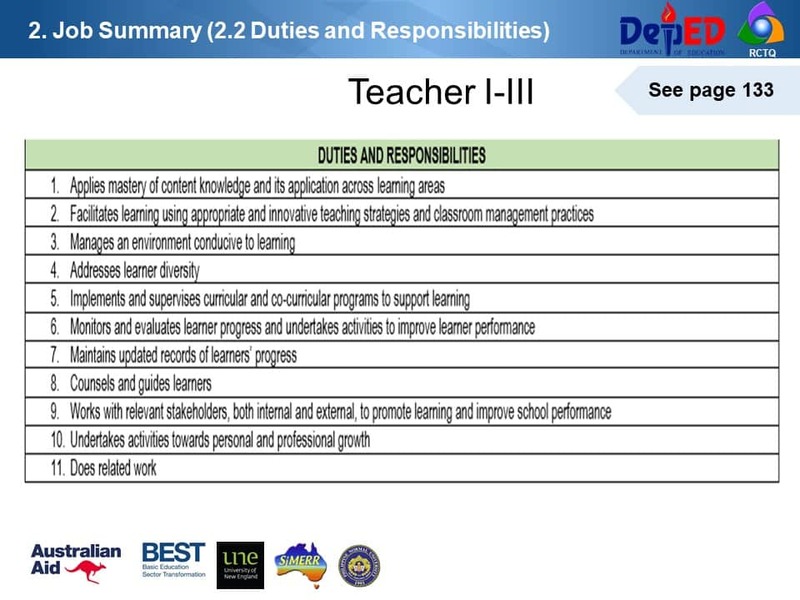 They describe the duties and responsibilities of teachers across career stages; the Key Result Areas (KRAs) for the realization of those duties and the specific objectives to attain the KRAs. 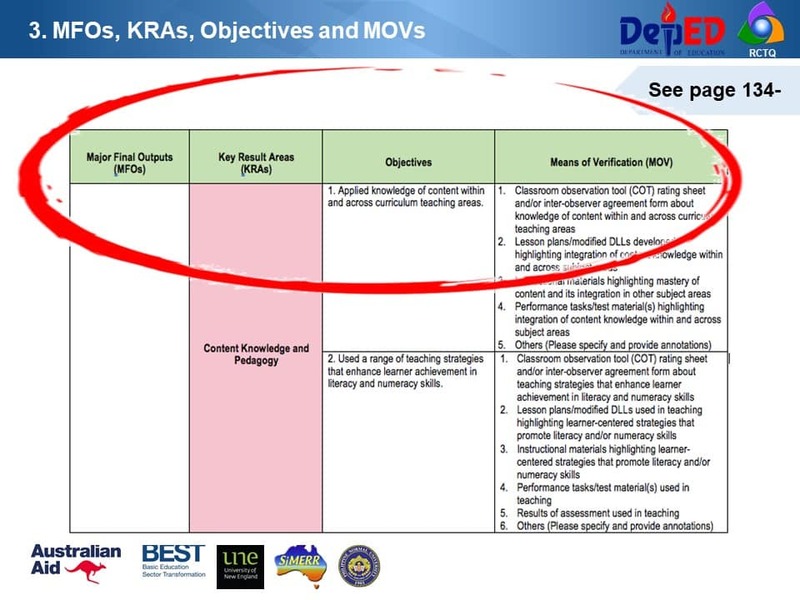 They also present in detail the various Means of Verification (MOV) that serve as proof of the attainment of specific objectives alongside performance indicators, from outstanding to poor performance, to help both Ratees and Raters in the assessment process. The performance indicators need not have all three (3) categories. Some performance may only be rated on quality and efficiency, some on quality and timeliness and others on efficiency only. Figure 1.9 illustrates how the performance measures are embedded in the performance indicators of the RPMS Tools. Why is there a need for RPMS Tools? It serves as a BLUE PRINT for teachers to guide them in accomplishing their job. Performance Indicators, this part provides the exact quantification of objectives, which shall serve as the assessment tool that gauges whether performance is positive or negative (DO No. 2 s. 2015). 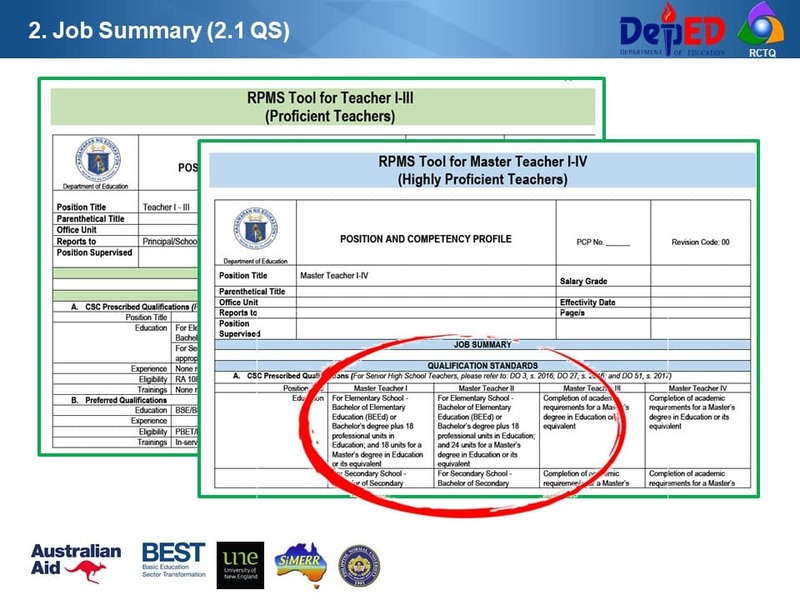 In the RPMS Tools, the performance indicators provide descriptions of quality and quantity given five performance levels: 5-Outstanding, 4-Very Satisfactory, 3-Satisfactory, 2-Unsatisfactory, and 1-Poor. Embedded in the performance indicators are elements of quality, efficiency and timeliness. Means of Verification (MOV). 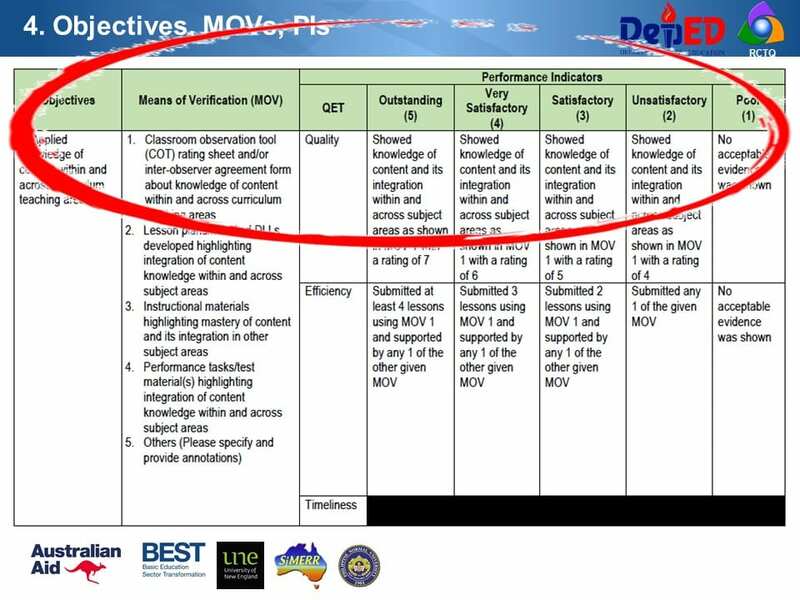 The MOV column gives Ratees and Raters examples of documents that can prove the teachers’ attainment of objectives. They have been judiciously selected to show evidence of attainment of objectives. Teachers gather, select, organize and annotate MOV to help Raters in assessing teacher performance. Who uses the RPMS Tools? For elementary, HT serving as School Head may use their OPCRF aligned to the existing NCBSSH. For secondary, HT with teaching load, may use the Highly Proficient Tools for Master Teacher I-IV; HT without teaching load but serving as Department Head may craft their IPCRF anchored on the OPCRF of the Principal. Remember PPST is for TEACHERS not for Educational Leaders such as School Heads, same goes with RPMS Tools. For year 1 (2018): There is a need for baseline data on where/what career stage teachers are currently at using the 12 “priority” indicators. 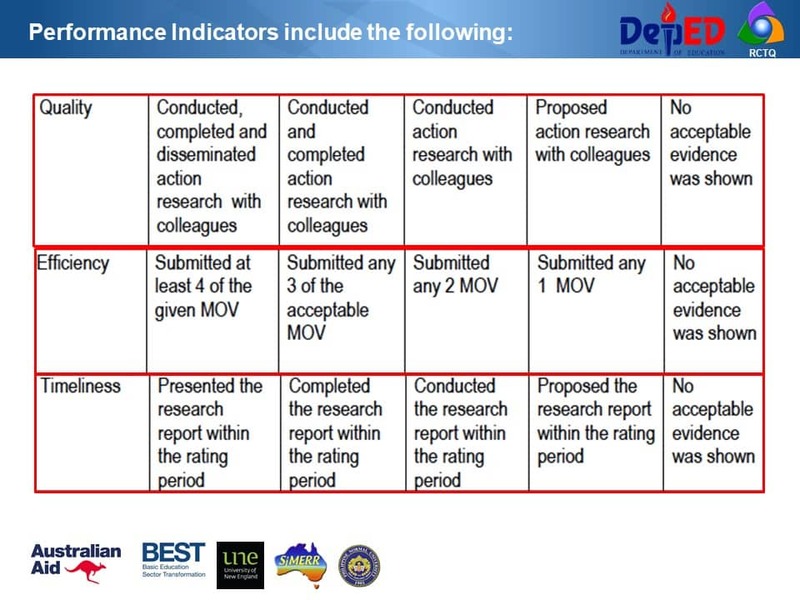 During the first year of implementation, the 2 tools will determine whether indicators are met or not met. Those In the year 2 of implementation, another 12 indicators of the PPST will be used in the RPMS. 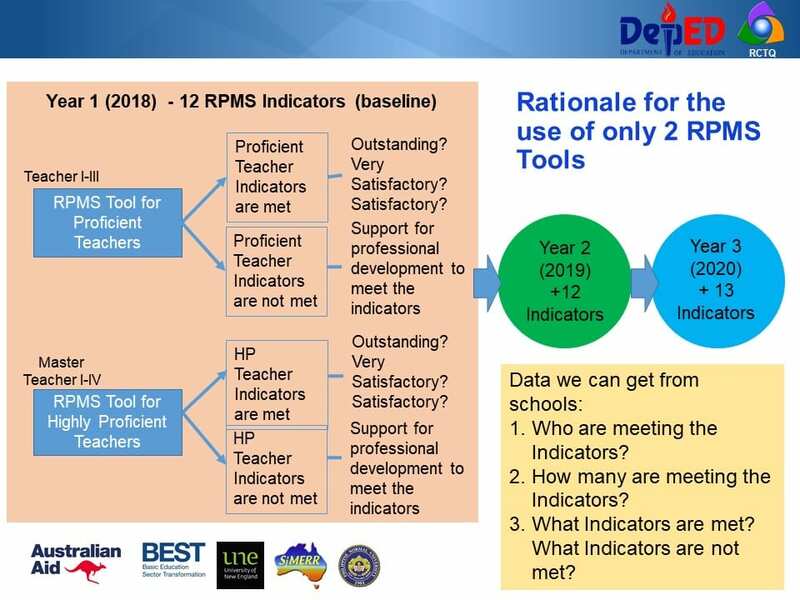 The remaining 13 PPST indicators will be used the RPMS in the Year 3. 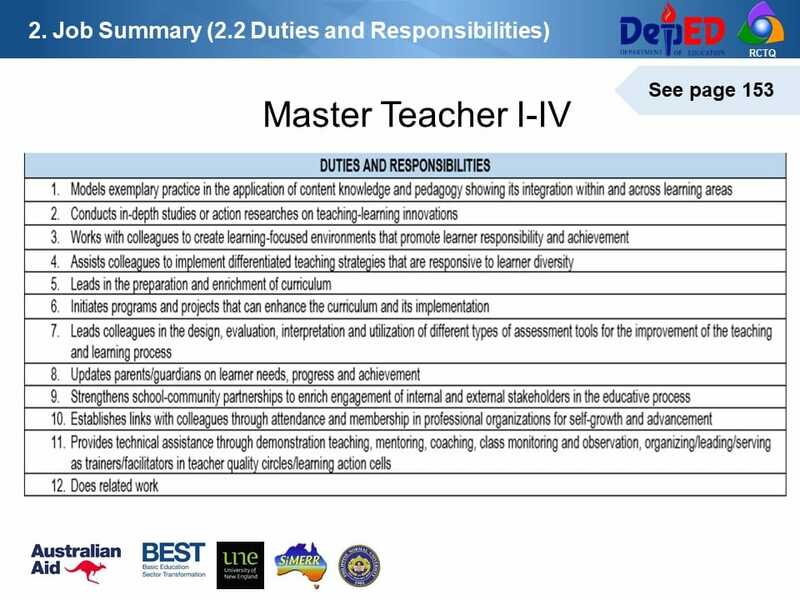 There is a need for baseline data on where/what career stage teachers are currently at using the 12 “priority” indicators. Many newly-hired teachers (Teacher I) in the field are not actually Beginning Teachers. Most of them already rendered service and came from private schools. Teachers who use this tool/are rated using this tool may be found to be performing at a Proficient, below Proficient (Beginning) or beyond Proficient (Highly Proficient). There’s a possibility that Master Teachers are not performing at the Highly Proficient Teacher career stage. Teachers who use this tool/are rated using this tool may be found to be performing at a Highly Proficient, below Highly Proficient (Proficient) or beyond Highly Proficient (Distinguished).